How can we best help young people develop a growth mindset language? This question is currently being debated in psychology labs, staff-rooms and sports training grounds up and down the country. 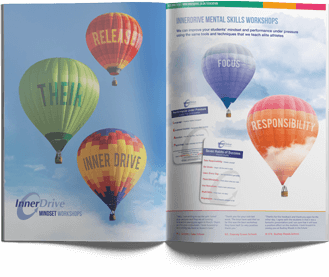 This blog looks at the type of language used to help facilitate a successful mindset. 20 years ago, this seminal study of Growth Mindset found that a subtle change in how you praise someone can lead to a dramatic shift in their behaviours. 86% of children who had been praised for their intelligence asked for information about how their peers did on the same task. Only 23% of children who had been praised for effort asked for this type of feedback, with the majority of them asking for feedback about how they could do better. Likewise, students who had been praised for their natural ability were more likely to choose easier tasks in the future; lie about how successful they had been; enjoy the tasks less; and they were more likely to give up more quickly. Keen to harness this research, the last few years have seen a rise in schools looking how to develop growth mindset ‘interventions’ in schools. This often takes the form of either assemblies and/or praising students when they try hard. Assemblies can be a good way of capturing attention; however, on their own, one-off interventions rarely lead to long term behaviour change. Likewise, Carol Dweck recently cautioned against praising effort too much. She says, ‘We also need to remember that effort is a means to an end to the goal of learning and improving. Too often nowadays, praise is given to students who are putting forth effort, but not learning, in order to make them feel good in the moment: “Great effort! You tried your best!” It’s good that the students tried, but it’s not good that they’re not learning’. Learning is the focus of growth mindset, not simply just trying hard. So, apart from praising effort and running assemblies, what can we do? This is something we often get asked at our Teacher CPD sessions. As a starting point, we discuss 8 Behaviours to Praise and Good Questions to Ask Students. These areas need to be consistently reinforced and done at the right time. For guidance on how best to implement these types of strategies, we recommend reading this excellent report; Addressing Achievement Gaps with Psychological Interventions. 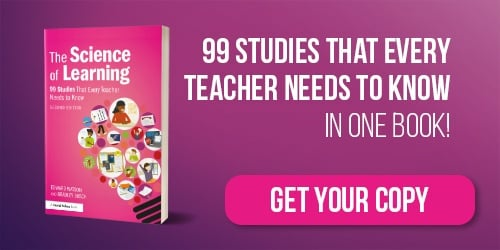 In it the researchers suggest that to maximise impact, educators should adopt ‘a stealthy approach’ that does not involve ‘telling students they are receiving an intervention to help them’. So what would a stealthy intervention that involves more than just praising effort look like? For inspiration, we revisited the original growth mindset study mentioned at the start of this blog. In that study, researchers had a subtle shift in the language used when talking to the participants. Could something as simple as the everyday language we use help shift students’ mindset? How someone talks to themselves has been found to impact on how they think, feel and subsequently perform. 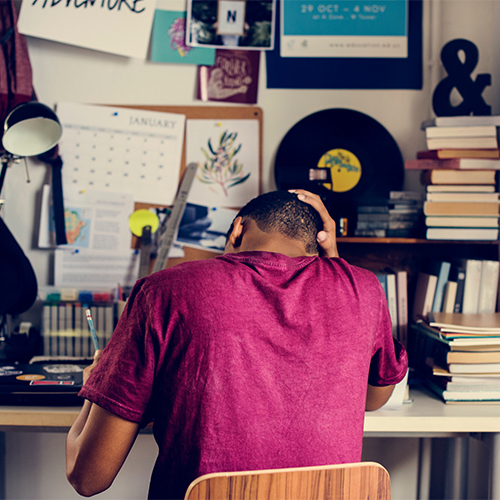 We explored this in more detail in our blog, 6 Ways to Talk to Yourself Better. Better self-talk can help students manage their nerves, improve creativity, persistence and motivation. However, self-talk is rarely explicitly taught to students. 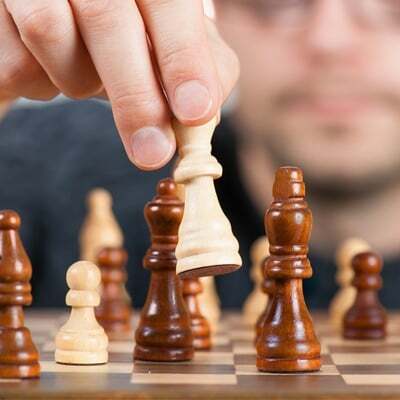 It is often something that we assume that people do well. So, what sort of sentences can we encourage students to say to themselves? 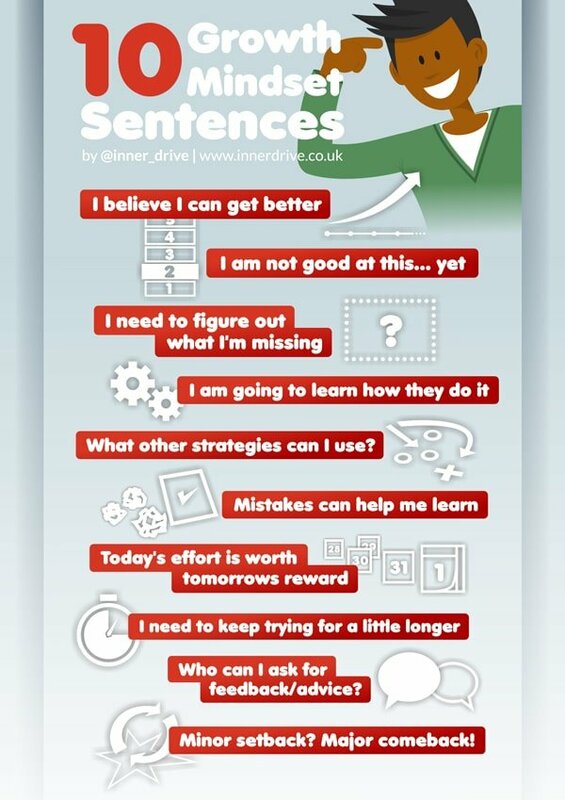 The sentences in the infographic above, on their own, won't shift a student from a fixed to a growth mindset. But we think that encouraging more language of growth mindset can be a good starting point. The language we use when we talk to ourselves can shift how we think, feel and perform. It can be something so simple that we often overlook it. It does not need to be an all singing and dancing intervention - just a subtle, yet conscious decision to teach students helpful ways to talk to themselves. 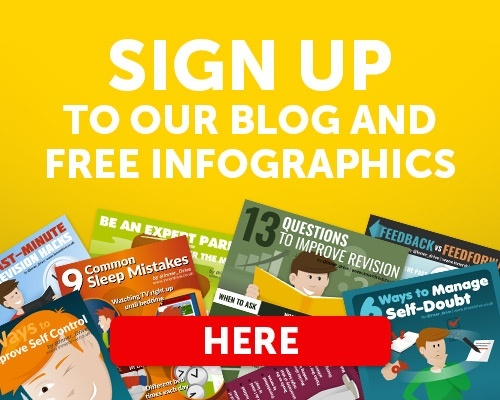 For even more info take a look at our page How to Develop a Growth Mindset, where you'll find links to blogs and research.